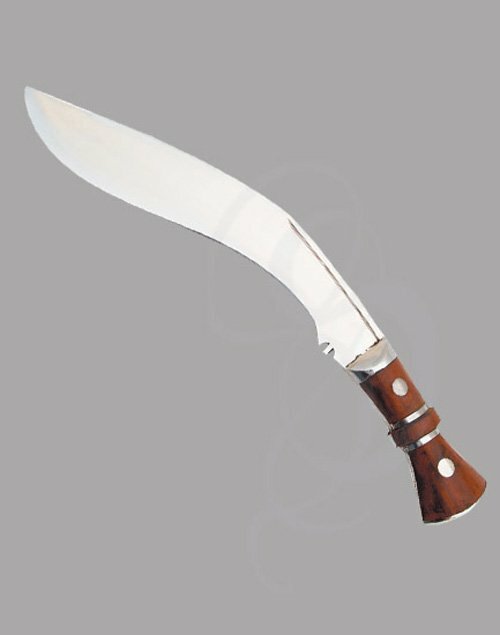 Kukri with polished steel bolster and pommel. 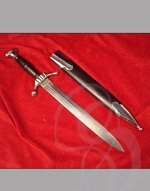 This is a beautiful well crafted dagger. It features a curved blade and a hard wood handle and topped with an ornamental brass. 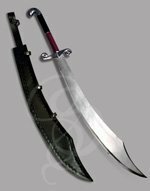 The curved blade is one of the most impressive features of this weapon. 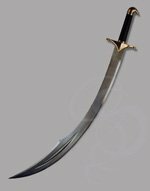 The blade is a is a 13 1/8 inches of high carbon steel. The hard wood handle provides for a comfortable yet firm grip. The polished steel bolster and pommel accents on the grip makes this a truly unique blade. 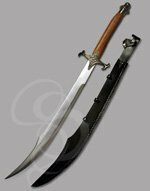 Not only does it add to the attractiveness of the dagger but it makes a wonderful counter balance for the blade. 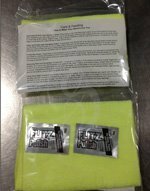 The stainless steel blade has a false edge, giving the appearance of a sharpened edge but it is not actually sharp. 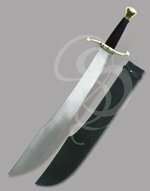 The dagger includes a black leather covered belt sheath.